Alex Goh is the Principal Consultant and Director of JAGG Resources Pte Ltd, his own Singapore-based financial and business advisory firm with a focus on the oil and gas industry, as well as China ventures. Prior to this, he worked in international MNCs across multiple disciplines as a Senior Corporate Executive. He has more than 30 years of experience in the oil and gas, heavy machineries industry, corporate advisory and consulting field. His professional career has taken him to places like Hong Kong, Philippines, Thailand, Vietnam, Saudi Arabia, the UK, US and China where he was based for more than a decade. 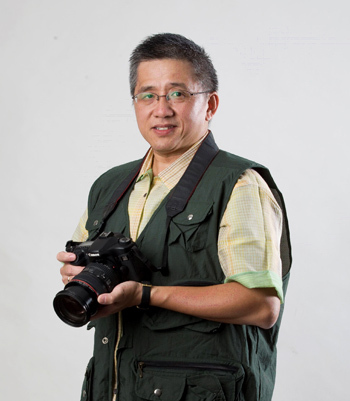 In his leisure, Alex enjoys travelling and adventure-seeking, and is an avid photographer. As a King’s Scout who ascribes truthfully to the mantra of “once a scout, always a scout”, he sees his travels and adventurous pursuits as part of his personal mission to promote the spirit of learning, discovering and sharing as a contribution towards a greater cause for humanity. Alex is also a passionate marathoner with a personal quest to complete 100 marathons around the world. that journey.